From the Top alumni are speaking out about the state of orchestras today, emphasizing the value that these cultural institutions offer to their communities. 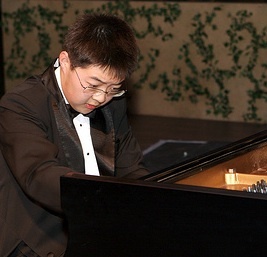 For Jingxuan Zhang it is a personal issue affecting his hometown of Indianapolis, while Stanford Thomson takes a look at American orchestras and provides some thought-provoking solutions to some of the issues at hand. They both to speak to the power of music in touching people’s lives and contributing to making our communities vibrant places to live and work. Two weeks ago, my friend Eric Lawler made a simple request, for the lovers of music to stand up and take action against what can be called a crime against the community. The Indianapolis Symphony Orchestra has been the forefront of the Indiana classical music scene since its founding over eighty years ago. And now, it is facing a crisis unlike any the orchestra had faced in previous years. With impending cuts, the orchestra may lose its prestige as one of the 18 American orchestras to perform year round. Furthermore, they also face severe personnel cuts. If nothing is done, close to half of the orchestra will be rid of: The full orchestral sound people have taken for granted, capable of anything from Beethoven to Mahler to Bruckner, will be gone. And that is the exact word, “gone,” because there’s no euphemism to make it sound nicer or prettier. A bird cannot sing its mating song with just half a voice, just as fish cannot swim with one measly fin. Don’t hold onto the illusion that we will be able to get the caliber of programming we are used to with half the orchestra laid off, and the other half performing “part time,” whatever that is supposed to mean. And need I mention or iterate the importance of music? In a society in which beauty is lost to practicality, let me tackle this question through a more pragmatic point of view: How does practicing music make one a better person? First, music leads to creativity and imagination. The music we hear are written down note by note by the composer, yet it is amazing how each performer can vary their interpretation within this confining framework. In a society in which creativity is recognized as an exemplary quality in the workplace, we should promote one of its greatest teachers. Second, music leads to passion. That is something hard to discover, but there is a certain intensity about moving together with close to a hundred other people, feeling the same emotions, that amplifies passion and love, making it so much easier to manifest within us. One can experience a whole gamut of emotions while playing music, inspiring within us the sad, happy, giddy, joyous, depressed, hopeless, desperate, frustrated, envious, and majestic. And one needs the capacity to feel in life. These things makes us human and drives us forward. Third, music leads to more dedication to details. One must agonize over the smallest details, and become one’s best teacher. Just as Socrates, in Plato’s Republic, said that the Forms can only be reachable in the realm of intelligible, music lies first and foremost in the mind, and our physical faculties only aim at that ideal sound. And this chasing of the “perfect” sound is what makes musicians so dedicated in their pursuit, listening to every note with care and executing each precise movement with absolutely controlled movements. In a field in which precision and control makes or breaks a piece of music, we cannot help but mull over each detail, so that we approach the sound of our imaginations. People might ask, why so long a dissertation on the values of music, for a cause that is already so obvious? Well, to put it bluntly, it was not obvious to the people. My friend Eric, whom I mentioned in the very first paragraph asked for a simple favor: One short letter addressed to the ISO board telling of how orchestra has had an impact on your lives, sent to him so that he may compile together a long list of what hopefully are powerful messages in support of the orchestra. And guess how many he has received? One. From me. As a musician and a frequent listener of the ISO, I had to write this post as a reminder of all that is good in music, all that is worth saving in music. The ISO represents all of the ideals represented above, and they strive to pass it on to another generation of musicians. Every time I listen to a concert, not only do I hear the result of their creativity, passion, and dedication, but also see their physical manifestations, by their moving together, a perfect team of one. As is common on Facebook, we show our support by liking a post. I do not want a single like on this post. I want more than a half-hearted click to show your support to a group of people that has done so much for the city of Indianapolis. Please, send your letters, addressed to the ISO Board, to Eric Lawler at eric.j.lawler@gmail.com. We have 110 kids in Play On Philly. Social scientists here estimate that we will spend at least $23 million on them before they’re dead. Or we can invest $2.2 million in them over a ten-year period and drastically increase their chances of graduating from high school… which would generate $99 million of taxable income before they’re dead. What about the 70,000 living at/below the poverty line or the 110,000 of them that will drop out of high school? Another group of social scientist from the University of Pennsylvania think our 110 kids could cost up to $39 million before they’re all dead taking into consideration the economical challenges they now face. So what if you gave them a violin and taught them everyday for 3 hours? Want to guess how many of them, based on rigorous research, have a high chance of avoiding the “trap”? 71%. 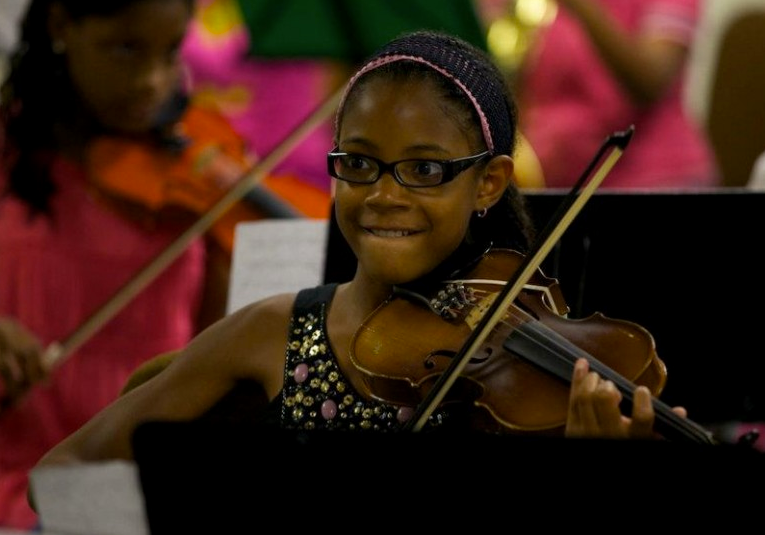 What impact could professional orchestras have by providing this opportunity to those children and communities? What if we helped 500 kids? 1,000? 5,000? I think when you save cities hundreds of millions and produce billions in taxable income, people might write the tens of millions we need every year to stay vibrant, flexible, and relevant.